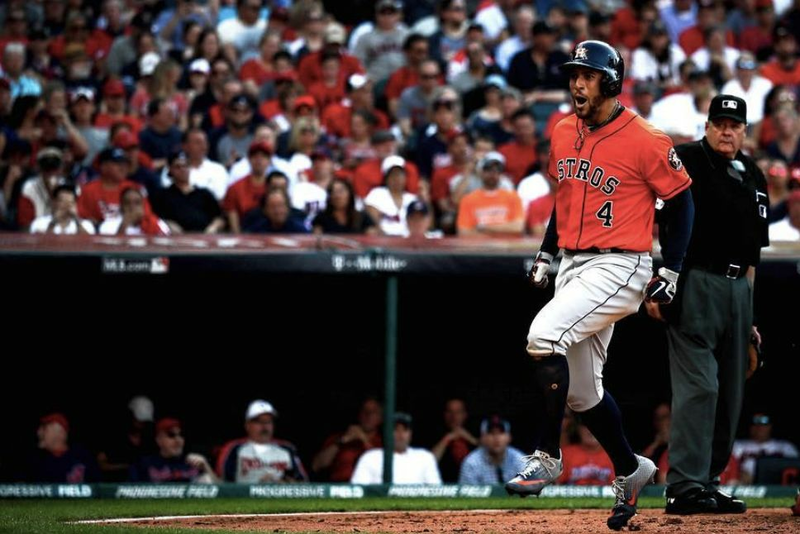 The Houston Astros are World Series champions. The words hardly look real when you type them on the screen, and they don’t grow any realer the more you look at them. In fact, none of this is real. Even as the home team’s fans are still staggering silently toward the exits, we are hurtling our body down the escalators to the bowels of Dodger Stadium—yes, hurtling, us—then down a set of stairs we take two steps at a time. We spring down the hallway lined with Gold Glove awards inscribed with names like Gil Hodges and Andy Messersmith and Maury Wills, and wind our way down the ramp that leads past gleaming Silver Slugger bats for Sandy Koufax and Fernando Valenzuela, down, down, down to the field. Finally, there is a concrete staircase and up at the top, a blinding white light. For a moment we think we are having a near-death experience, and maybe we are. That the Astros have achieved the impossible is something we have just witnessed with our own eyes, and yet we somehow refuse to believe it. 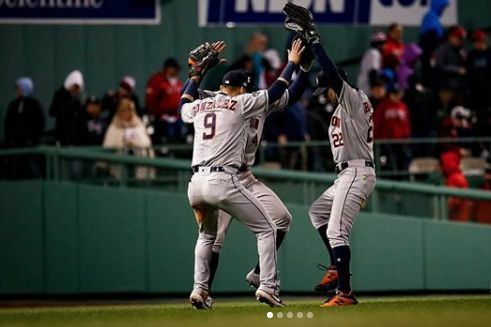 We have watched from just a few hundred feet away as Charlie Morton went into his final wind-up, somehow summoning strength for a 97-mph fastball from his exhausted right arm, a pitch that Corey Seager found too tantalizing to pass up, grounding it to Jose Altuve, who fielded it with ease and tossed it to Yuli Gurriel. 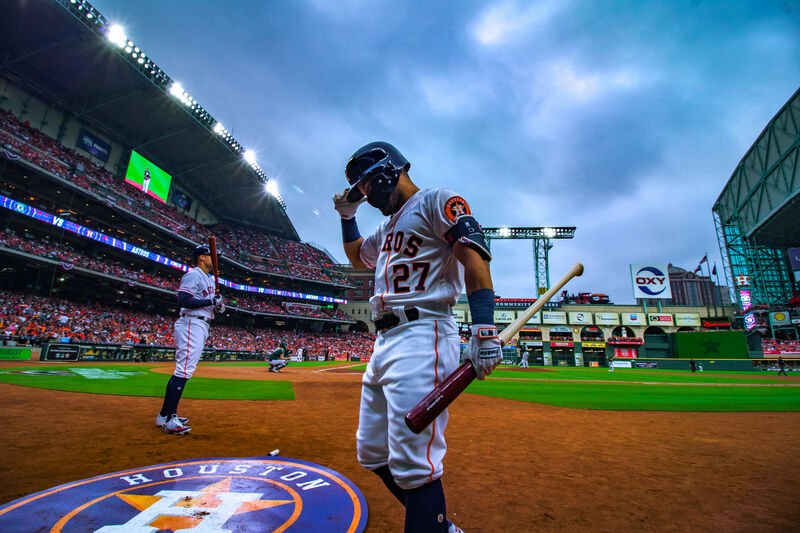 We heard a few cheers in the crowd amid the many, many gasps and screams of disappointment, and we saw Astro after Astro raise his arms to heaven and fall to his knees in the infield, where they were swiftly joined by Astros from everywhere else—the outfield, the dugout, the bullpen. All our lives we have watched baseball, so we knew what to expect next, namely a bouncing, jubilant, delirious pile of celebrating men, but these men were wearing orange, so it couldn’t be real. Besides, this is L.A., the land of make believe, the Dream Factory, where they specialize in the illusion of truth, not the genuine article. The windowless bowels of the stadium give way to a burst of fresh November air, and then we are on the field, where a makeshift stage is being hastily set up east of the pitcher’s mound. The men and women constructing it are joyless, heartbroken, and so they are building it in record time. Astros and coaches and Jim Crane and Jeff Luhnow are packing themselves on the small dais and they are being declared world champions. The Astros are being declared world champions. And as wild and wonderful as the scene on stage is, things are even crazier in the stands, where hundreds of Astros fans have gathered just beyond the dugout. For three hours and 37 minutes, they have eked out existences in foreign territory, enduring the myriad hostilities of L.A. fans. Now, suddenly, they are free—free to gather and cheer like they’ve wanted to all night, like they’ve never cheered in their lives. There are shouts and tears like we’ve never seen, and flags and posters and all the other detritus of a team and city that have waited too long for this moment. Back on the field, the panoply of emotions is almost impossible to describe. Carlos Beltran is crying like a baby right next to Carlos Correa, who has just proposed marriage not far from Brad Peacock’s dad, who is reminding George Springer’s mother of their mutual vow to dance on the pitchers’ mound if their sons won the Series. Out of nowhere, Craig Biggio appears to congratulate Altuve, except he can’t settle for a handshake or a hug. Instead, he picks up the second baseman by the waist, and throws him over his back. A dizzy Altuve takes a seat on the stage next to the gleaming World Series trophy, and as he gazes at it, you refuse to even think about the relative size of the two. Meanwhile, there are kids everywhere—posing as Alex Bregman makes funny faces, in the arms of their dads, Morton and Collin McHugh, Cameron Maybin and Ken Giles and Marwin Gonzalez. There are wives and fiancées and long-suffering family members everywhere we look, and hordes of media, of course—BBC reporters who almost get in a fight with reporters from ESPN, Korean and Chinese reporters who ask us to point out Yuli Gurriel, and security guards powerless to control the chaos. In that moment, it all begins to seem real. It really did happen, because it had to. There were many talented teams in baseball this season, none more talented or formidable than the Dodgers, and they all played to win. But even as the Astros played to win, they always played for something else too. For us. They played to raise us up, to boost our hopes, to give us reasons to cheer again. Every city wants such things from a baseball team, but none needed them more than ours in the autumn of 2017. They gave us all their strength, every ounce of effort that they could, and we returned the favor, donating our voices and prayers and everything else we could think of to the cause of victory. And because of all that, on a cool November evening in a town far, far from home, it happened. It happened. 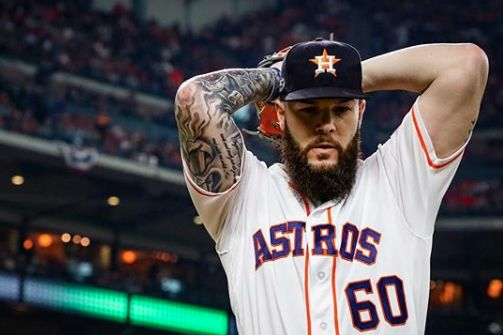 The Houston Astros really did become champions of the World Series. A very special city and a very special team came together at a very special moment. Should we really be surprised that the results were so special?